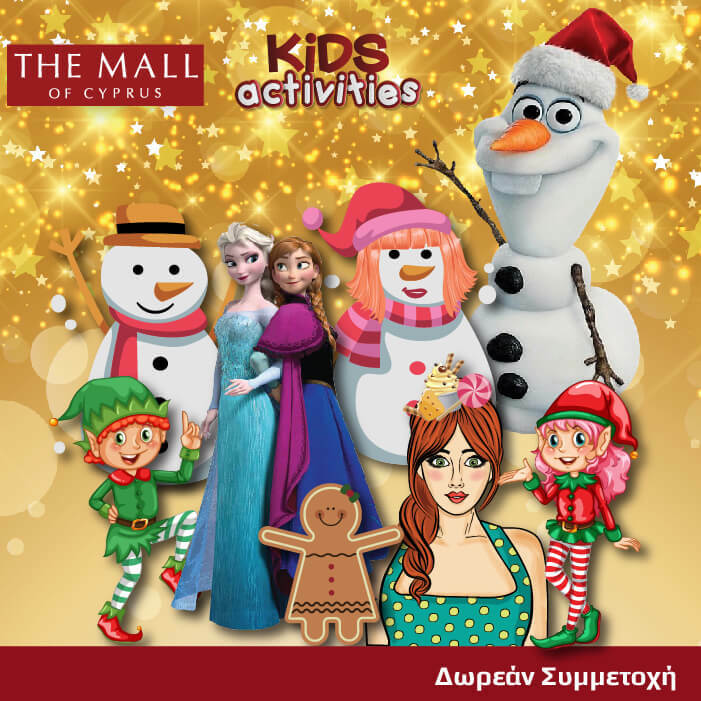 Come to The Mall of Cyprus for winter-themed kids activities with beloved characters such as Elsa and Anna, Olaf, and Mr. and Mrs.Snowman. Face-painting, arts & crafts, games, music and dance! Participation is Free! 3, 4, 5 and 7 January, 4-7pm: Meet Olaf and take a picture with him!